Food We provide coffee and pastries each morning for all classes. We provide lunch for all refresher courses and the last day of all initial classes. Refresher Training Applicants must successfully complete a refresher course in the same discipline as their initial course. Refresher training is annual. Refresher is a 1 day, 8 hour course. Whether you are currently in a field related to the removal of potentially hazardous materials i.e. 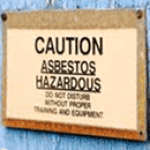 asbestos, lead or mold, or looking to advance a career in these fields, Asbestos Training & Safety Consulting, LLC has the knowledge and experience to assist you in your career move. At ATSC you will find the most advanced technology along with instructors who have years of hands-on experience that will give you the knowledge you need to identify and safely remove potentially hazardous materials. 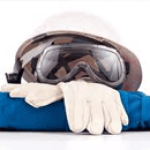 Our entire curriculum is focused on preparing you for a safe and healthy work environment and updating you on the most current OSHA and EPA guidelines. 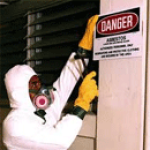 Whether you are looking for a refresher course or advancing your career, Asbestos Training & Safety Consulting, LLC will meet your needs with the highest quality training at affordable prices.